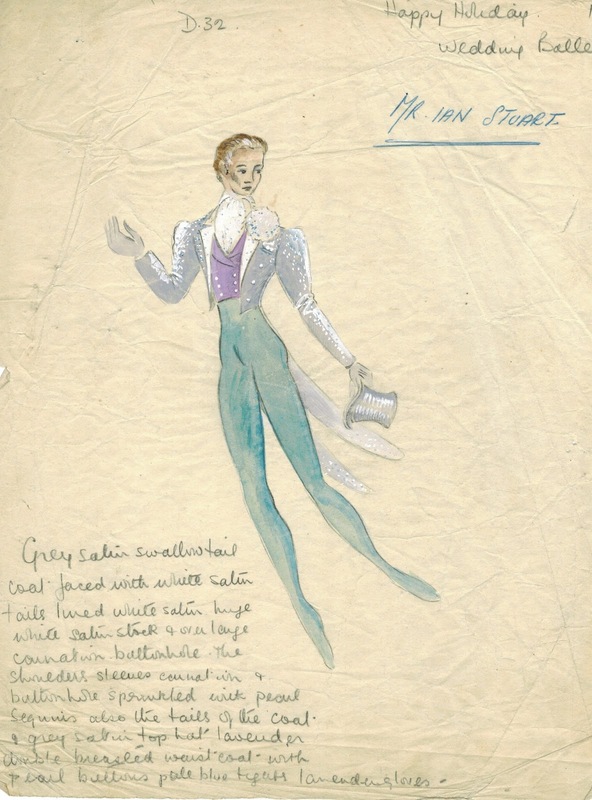 Kurt of Gerolstein: There are costume designs which are little gems of art .. and then .. There are costume designs which are little gems of art .. and then .. In my odds and sods folder, next to Lena Ashwell, was this. A sod, I think, rather than particularly odd. And far from a glowing example of the designer's art. It dates from forty-four years later than the beautiful Wilhelm drawing. 1954. And the work it was part of was a flop production by that churner-out of inconsiderable trifles, Eric Maschwitz, aided and abetted by producer Emile Littler. It was an alleged adaptation of the popular play The Ghost Train, which was produced at Oxford and brought to the Palace Theatre for Christmas. Unloved, it staggered past twelfth night and sank forever leaving little trace. And Marie Burke and the very young Sheila Bernette out of a job. Ah well, some play at theatre, some work at it. And there's quality and ... the other stuff.